Summer around Seattle is all about maximizing playtime. Even kids have to eat, of course, but everyone’s happier when a food stop offers a side of adventure. We picked these one-of-a-kind eateries and foodie destinations around the Sound for their standout locations and proximity to must-do summer activities from kayaking to tubing to tide pooling. Fuel: Fonda La Catrina in Seattle’s artsy Georgetown neighborhood (5905 Airport Way S., Seattle) serves exceptional Mexican food — from mix-and-match tortas and tamales to pork shoulder in tomatillo sauce — in a neat space. Sit indoors to appreciate the funky décor or outdoors on the large back patio for an up-close view of planes taking off and landing at Boeing Field. Don’t miss the queso fundido: melted Monterey Jack cheese served in a hot skillet with corn tortillas, avocado and pico de gallo. Play: Afterward, stop at nearby Fantagraphics (1201 S. Vale St., Seattle) for a comic book or at the Georgetown Trailer Park Mall (open weekends), where kids can rifle through oddities and bizarre ephemera from local designers, artists and collectors that literally sell their wares in trailers (5805 Airport Way S., Seattle). 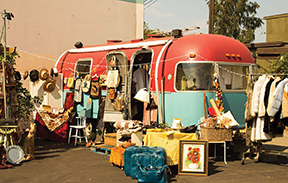 You may come home with a tropical terrarium, a vintage hat pin, a handmade T-shirt or even a piece of furniture (!). Fuel: If you haven’t been to Pioneer Square in a while, it’s time. The historic neighborhood is becoming, among other things, a food truck mecca. Head to Occidental Park (117 S. Washington St., Seattle), where a food truck pod offers up a rotating selection of eclectic eats, from Hawaiian fare to frybread Indian tacos. Tables are set up throughout the park for easy eating; you’ll also find bocce ball and giant chess. In the summer, look for special events such as lunchtime concerts. Play: The Seattle waterfront, boasting attractions from the Great Wheel to Seattle Aquarium, is a quick walk away, but right in Pioneer Square don’t miss the Klondike Gold Rush National Historic Park (319 Second Ave. S., Seattle), a wonderful free museum that tells the story of Seattle’s first boom. Look for special events this summer in honor of the National Park Service’s centennial. Fuel: If you think pho is the same wherever you go, Dong Thap Noodles (303 12th Ave. S., Seattle, facebook.com, Dong Thap Noodles), a modern noodle spot in the International District, will forever change your point of view. 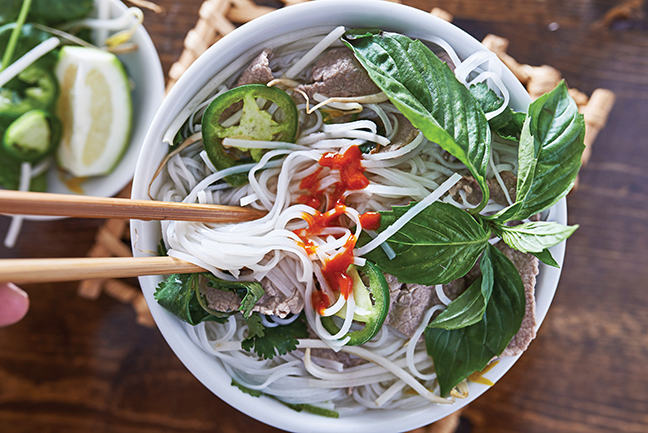 The owners make noodles in-house and from hand-ground rice, a multiday process that yields noodles that are a tad thicker, delightfully springy and with a discernibly better flavor. The broth, too, is top-notch and comes with wonderful aromatics simmering in it. Play: The International District is packed with play opportunities, from vintage pinball at Seattle Pinball Museum (508 Maynard Ave. S., Seattle) to the funky shops on South Jackson Street (such as Momo), which sell everything from clothes and art to toys and trinkets. Fuel: Opened last August, Hot Cakes Molten Chocolate Cakery’s second location on Capitol Hill (1650 E. Olive Way, Seattle) has one key advantage over its Ballard counterpart: s’mores grills. You can scorch your marshmallows either indoors or outdoors. 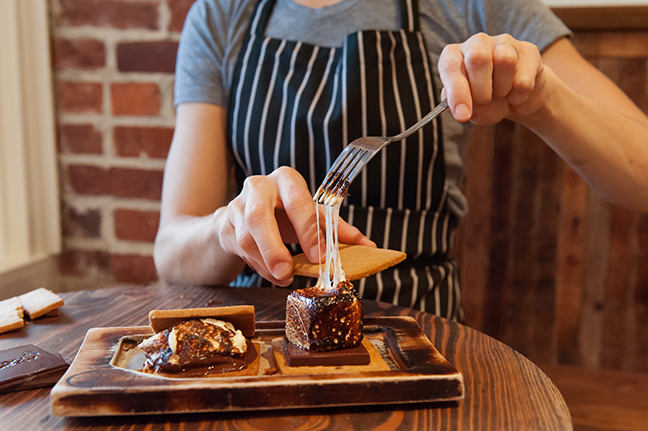 If s’mores aren’t your thing, you’ll also find soft-serve ice cream, grilled chocolate sandwiches (grilled cheese, too) and, of course, molten chocolate cakes. Pick up a take-and-bake cake for home. Happy hour is 4–7 p.m. Play: Take the Link light rail from the new Capitol Hill station north or south (Broadway and E. John, Seattle). Fuel: Just under Interstate 90 in Seattle’s sleepy Mount Baker neighborhood, Heyday Burgers & Bar (1372 31st Ave. S., Seattle) brings a stylish yet family-friendly vibe to the neighborhood. The menu stars handcrafted burgers with fancy fixings, such as a bison burger with grilled apples, Beecher’s cheddar and mustard seed sauce, or a Vietnamese burger crafted of shrimp, pork and beef and gussied up with carrots, pickled daikon and Sriracha aioli. Pickier kids can find a regular beef patty or fish and chips. Inspired sides include hand-cut, twice-fried fries, blackened cauliflower in a romesco sauce and killer deviled eggs. Play: It’s just a short bike ride (very downhill, bring confident bikers only) to Lake Washington Boulevard, where — on select summer Sundays — cars are not allowed, and trikes, bikes and scooters rule the road. 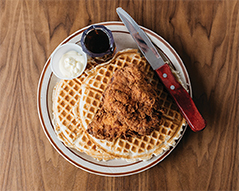 Fuel: Once the home of Jackson’s Catfish Corner in the Central District, Fat’s Chicken and Waffles (2726 E. Cherry St., Seattle) is a new favorite for lovers of New Orleans–style eats. Nosh on plates of fried chicken and waffles, shrimp and grits, mac ’n’ cheese with a crispy browned top and red beans and rice. Fat’s serves up more deep-fried glory including fish, oysters, shrimp, okra and green tomatoes. Walls are adorned with black-and-white photographs of Grandmaster Flash and Jean-Michel Basquiat, and a 17-foot mural of Martin Luther King, Jr., a neighborhood mainstay, lives on outside the restaurant. Play: After you’ve feasted, it’s a short drive to Beacon Hill, where you and the kids (even very young) can practice climbing skills at the Seattle Bouldering Project (909 Poplar Pl. S., Seattle). Fuel: Redmond is catching up to Bellevue’s dining scene with the opening of Woodblock restaurant and cocktail bar in downtown’s Old Town Lofts building (16175 Cleveland St. #109, Redmond). The “eclectic rustic fare” menu is upscale, starring dishes such as duck confit salad, blue-cheese truffle burger and braised oxtail butternut squash risotto. Kids will find comfort in familiar favorites such as mac ’n’ cheese and wings with baby potatoes. During happy hour, families can find deals such as $5 fries, $6 Caesar salad and $9 burgers. Play: Combine with a bike ride along the Sammamish River Trail). Great stops are the fabulous Redmond Saturday Market, open May through October, or Marymoor Park, which has climbing structures, trails and even a velodrome. Fuel: The quaint ferry town of Edmonds has restaurants to spare, but we especially love Evviva Woodfired Pizza (178 Sunset Ave. S., Edmonds), located near the waterfront and the Edmonds ferry dock. Its brick applewood-fired oven bakes up Neapolitan-style pizzas with the very best ingredients — including organic olive oil and nitrate-free meats from Zoe’s Charcuterie. For dessert, try the D’Ambrosio organic gelato and house-made tiramisu. Play: Summer in Edmonds is prime time for exploring the tide pools at Marina Beach (470 Admiral Way, Edmonds). At low tide, walk out a half mile on a sandbar where pools teem with aquatic life, with a view of the Olympic mountains as the backdrop. Fuel: Sure, the faux German village of Leavenworth may be a bit on the corny side, but its stunning mountain setting really is reminiscent of the Alps, and kids can’t help but love the kitschy German-themed restaurants complete with servers in lederhosen. Rudloof’s Pizza und Brats (265 US-2, Leavenworth, rudloofs.com) is a win-win for everyone: Adults can go for the traditional brats and sauerkraut while kids can customize a pizza with traditional or German toppings. Play: Combine with a lazy, family-friendly tube ride down the Wenatchee River, courtesy of the Leavenworth Outdoor Center). You can even bring the dog! Fuel: The Hitchcock Deli (129 Winslow Way E., Bainbridge Island) constitutes a reason of its own to go to Bainbridge Island, serving up delicious, inventive sandwiches made with in-house and smoked and cured meats, and sides of potato salad and house-made pickles. Play: The Hitchcock is walkable from the ferry, but if you do drive, pack your deli sandwiches and picnic at stunning Bloedel Reserve (7571 N.E. Dolphin Dr., Bainbridge Island) with 150 acres of forest and gardens. Check out the moss garden, Japanese garden, reflecting pools and more. 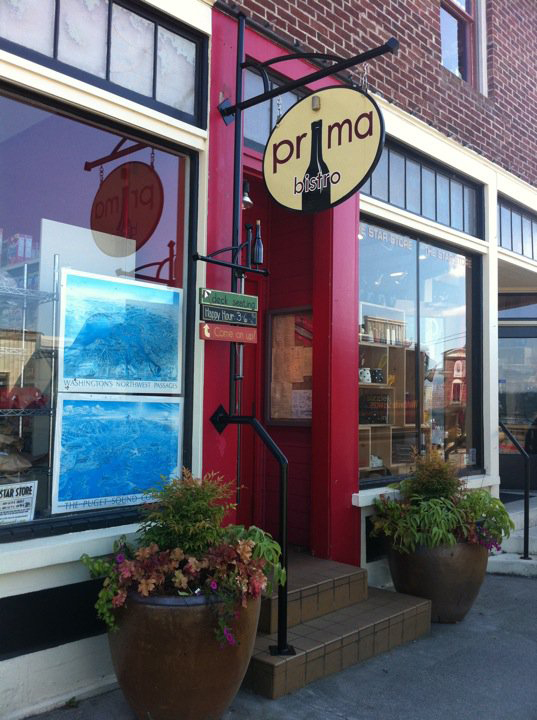 Fuel: Bring your summer visitors to Whidbey Island’s charming town of Langley for a splurge-worthy meal at Prima Bistro (201 1/2 First St., Langley), a restaurant that rivals the best in Seattle. The waterfront deck offers killer views of the Sound, and while the superb, French-infused menu is sophisticated enough for true foodies (confit of duck leg, roasted marrow bone, semolina-crusted oysters with truffle mayonnaise), the kids’ menu is an affordable delight. 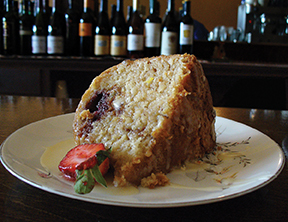 For just $6.50, they can choose from fish and chips, noodles with parmesan, a grilled cheese sandwich, whole-wheat risotto with parmesan or a half order of mussels. Play: Take a kayaking excursion out of the Langley harbor (outfitters include Whidbey Island Kayaking). One fun destination is Freeland, home of Whidbey Island Ice Cream. Fuel: It can be hard to remember that Snapdragon Bakery and Café (17817 Vashon Highway S.W., Vashon) is a vegetarian restaurant, with a globally inspired menu starring dishes such as falafel salad, veggie meatballs, spaetzle mac ’n’ cheese and kid favorites such as grilled peanut butter and raspberry jam sandwiches. The outdoor patio is a lovely oasis filled with pretty flowers and quirky statuaries. Musicians play several times a week. Play: On Saturdays, visit the Vashon Island Farmers Market (17519 Vashon Highway S.W., 10 a.m.–2 p.m., April through December) just down the street, and head home with fresh produce, flowers, cheese and more. Or go straight to the source and visit an area farm such as Kurtwood Farms or Plum Forest Farm.